It came with a warning from the then Director General Director of the BBC, Greg Dyke: “succeed or you will be cancelled.” This threat to The Doctor was one that a couple of years later would become a reality. The run up to that season must have put great pressure upon its star. But despite the expectations of the fan base, the responsibility of the role and the ever increasing threat that his captain may may sink the ship, Colin Baker handled himself with a dignity and style that I think only he could. I remember watching watching Terry Wogan interview him just before “Trial” started about the politics and threats of cancellation; Mr Baker spoke with such passion and support of the show you couldn’t help but fall in love with him and all he stood for. This first cancellation occurred not just through viewer drop off also due to executives at Broadcasting House, who deemed this portrayal of The Doctor too dark and violent. This is strange as it’s the reason this incarnation is my favourite. The Doctor is a Time Lord that later destroyed two races – including his own – to end the Time War. He held the power to change history and save or kill people as he saw fit. This left so much guilt in his soul and blood on his hands by the time the series returned that, in retrospect, it’s no surprise that the Sixth incarnation was prone to dark moods. I loved the way Colin approached the role: intelligent with dry humour, angry, loving and arrogant – all at the same time. The chemistry between himself and the delightful Nicola Bryant as Peri led to a Doctor/companion combination second only to the Doctor/Sarah-Jane combo. The incredible guest cast of television luminaries in this period all added to an aura that surrounded the show; I don’t think anything came close to delivering that 1986 high until Messrs. Moffat and Smith and River Song story arc of 2011’s Series Six. 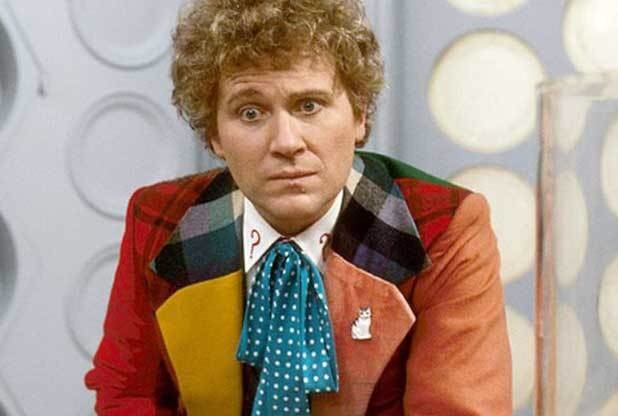 Colin Baker is The Doctor, my Doctor and always will be. He carried himself and the show with utter class and is still the man I would most like to meet for coffee and a chat. Thank you Mr Baker sir. You made my childhood and have led me into my midlife with incredible memories. The title of Legend is too often bandied about these days but in your case it’s the only word.